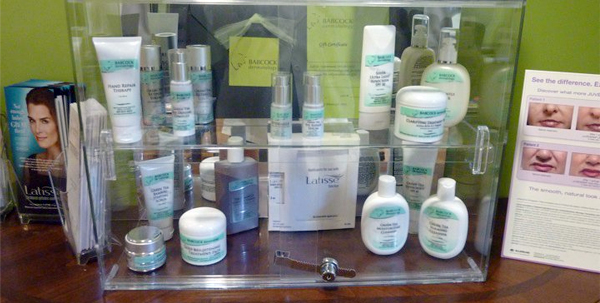 We only carry products that we believe in and whose benefits and results are supported by clinical research. Please ask our staff members for a product sample. If you are not completely satisfied with any purchase feel free to return the item, no questions asked, within 60 days. The products we offer in our office are pharmaceutical grade which means they contain higher levels of the active ingredient than retail versions. Products of this strength can only be sold by a physician. 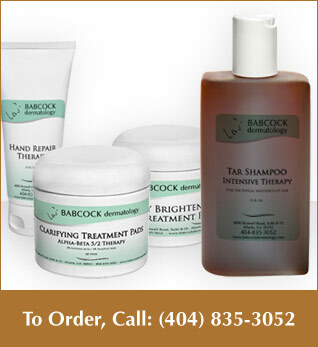 Products are available for pick up in our office or can be shipped directly to you for a fee of $6.00. A gift certificate makes the perfect birthday, thank you or just thinking of you gift. Why not treat that special friend with a gift of BOTOX, chemical peels or skin rejuvenation products! 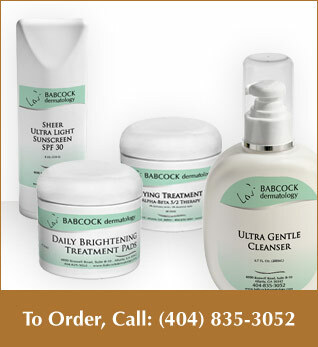 Gift certificates to Babcock Dermatology can be purchased in any denomination. They can be used for any of these products or cosmetic procedures. They can even be used for co-pays! We all know sun is the enemy to beautiful skin, but what can Green Tea do to combat that enemy? The answer is antioxidants. Green Tea is rich in powerful antioxidants that have several medicinal properties. The antioxidants in Green Tea are called polyphenols and are harvested from the Camellia sinensis leaf. Studies have demonstrated these Green Tea polyphenols have the ability to repair DNA damage caused by the sun as well as decrease inflammation and redness. What else can Green Tea do to keep your skin beautiful? It contains caffeine which has also been found to have powerful antioxidant properties. Green Tea polyphenols as well as caffeine have been shown to decrease skin cancers in animal studies. What should you look for in a Green Tea product? The concentration of Green Tea polyphenols is important. Studies show biologic activity starting at concentrations of 50%. The product you buy should contain at least that percentage. The product should have a brown tint, like tea. In this line the concentration of Green Tea polyphenols is 90%. How else can we keep our skin beautiful? Retinol is a product that decreases the enzyme that breaks down collagen. These products as well as prescription retinoids help keep the collagen strong. And of course using liberal amounts of sunscreen and sun avoidance are important components to great skin care. 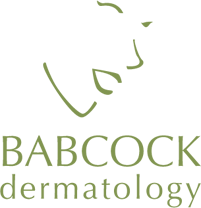 Retinol treatment infused with Green Tea Polyphenols. The perfect combination product. Use PM. Power of Three: Green Tea Polyphenols, Resveratrol (found in red wine) and caffeine. Powerful anti-oxidants for powerful results. Can be used AM & PM. Luxurious, moisturizing eye cream packed with Retinol & Green Tea polyphenols. Also contains peptides for skin firming and Vit K & Arnica to reduce dark circles. Use AM & PM upper and lower lids & crow’s feet. A rich blend of Green Tea Polyphenols and caffeine to assist in moisturizing your skin while repairing damage from the sun. This light exfoliant works to remove impurities and fight blemishes while gently lightening skin. Use it with the Green Tea Moisturizing Cleanser for a fresh look. Hydrating moisturizer with vitamins A, C and E and green tea extract. Can be used AM & PM. This BB cream contains universal pigment technology to blend with all skin tones. Complete with zinc oxide for physical protection, ceramides for gentle hydration, phospholipids for mattifying oil control and powerful green tea antioxidants. Seventy five percent of aging is due to the sun. For the best protection of your skin, buy the best sunscreens made. This product repairs DNA damage & moisturizes while protecting skin from the sun. 4 oz. This lightly textured moisturizing sunscreen is for individuals with acne prone skin. 4oz. This sunscreen goes on like water, leaving a powerful antioxidant blend of resveratrol & green tea polyphenols while protecting your skin from the sun. 2 oz. This creamy cleanser cleans the skin without drying. Ideal for acne, rosacea, sensitive and dry skin types. Soothing cleanser with Vits A, C, E, Green & White Teas. Lathering cleanser with Green Tea, citrus and cucumber. A hydrating neck cream to firm, lift and tighten skin. Formulated with active ingredients to support collagen stimulation, elastin production, smooth and even skin tone, and reduce the signs of aging. Evens and lightens brown spots and irregular pigmentation. Includes Hydroquinone, Kojic acid & Bearberry for lightening. Green Tea, Vitamin C, Emblica and Silymarin to soothe & decrease redness. Use once to twice daily as tolerated. 60 pads. 15% glycolic acid to perform daily home chemical peels to improve surface irregularities and clear acne. Use 3x per week to nightly as tolerated. Tar is one of nature’s best anti-inflammatory products. Treat dry, flaky scalp. Salicylic and Glycolic acids to promote exfoliation, and the sloughing of dead skin cells. This product makes skin look younger while controlling acne blemishes. Intense moisturizing formula with a silky touch. Long lasting protection against chapped and dry skin. 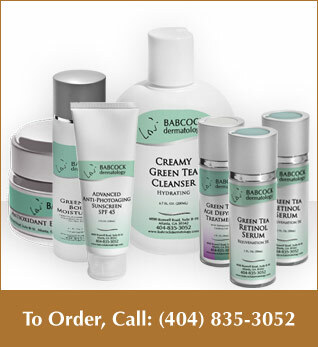 These products work great to help patients with acne prone skin look their best! Salicylic and Glycolic acids penetrate into the hair follicle where acne starts. This product contains a powerful combination of salicylic and glycoic acids to help reduce the number of acne blemishes, pimples, and blackheads. This creamy, soap-free cleanser cleans the skin without drying. Ideal for acne-prone, rosacea and dry skin types. Contains liposomal Vitamins A, C, E and Co-Q10. Free of oil, fragrance, Lanolin, and Propylene Glycol which can irritate the skin. This lightly textured moisturizing sunscreen is especially recommended for individuals with acne prone skin. Many patients develop unsightly brown spots after their acne heals. Daily Brightening Treatment Pads work to lessen the brown pigmentation left by healing acne marks. This product should be used over the whole face (or back/chest skin) to give an even brightening of the skin. See details in the Treatment Products section. 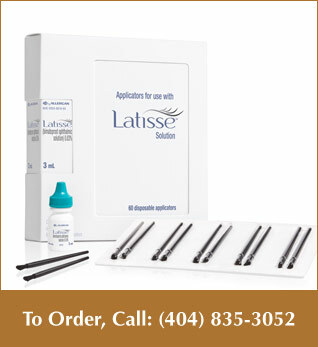 Latisse is a medication that creates longer, thicker, darker lashes in 8 weeks.